Teaching our children about giving back to others is something that is really important to Sia & I & we’re always looking for any opportunity to get our kids involved & teach them about putting others first and giving back to the community we live in & the people in our own communities. We love that the Champions for Kids programs make it so easy to donate & support kids in need. We have shared about the Champions for Kids programs in the past on Thrifty NW Mom (Summer Simple Service projects & Back to School program). The SIMPLE giving campaigns make it simple for shoppers to purchase & donate items that children need at local, participating Walmart stores. 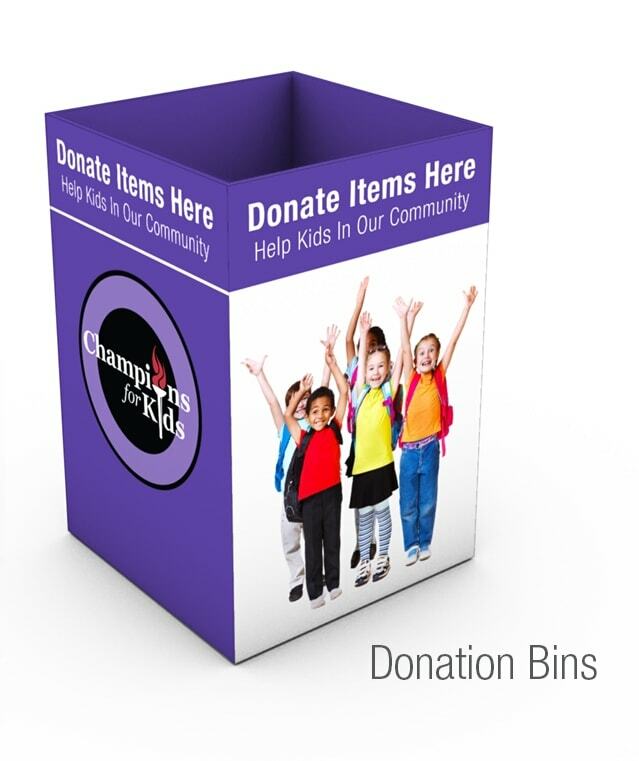 All you have to do is look for large purple bins that say “Champions for Kids” as well as signs that will share what the focus is for that giving period. The important aspect is that the organizations supported by Champions for Kids are local & within our own communities, so when we make those donations at local Walmart stores, all of those donations will stay right here in our own communities to support the youth. I know that I find that it is easier for my kids to identify with and want to help kids who are in need right in our own schools & communities. So, that’s what I appreciate about Champions for Kids programs – you can talk about these needs when you are in the stores & see the Champions for Kids displays & talk with your kids about getting involved in picking out special items to donate for other kids or even encourage them to save some of their money to donate items themselves. Champions for Kids has been serving kids all over the country since 2004 and they have served over 5.4 million kids in 50 states through in-store donation campaigns, service projects & community events. Champions for Kids started the SIMPLE giving programs in 2013 in Walmart stores in Arkansas & they expanded to Walmart stores in 11 states in 2014, with that number growing even more for 2015. Their goal is to provide resources for more than 10 million children in 2015. As I mentioned earlier, the goal for the SIMPLE giving programs is to make it as simple as possible to give the kids in our communities the resources they need to thrive. You can find a participating Walmart in your local area by checking out this resource page for each state. If your location is listed, that means that they should have donation boxes during Champions for Kids SIMPLE giving campaigns, so you can head there to purchase products for local youth-based organizations. Did you know that they are looking for more local youth organizations to team up with? If you know of a great local organization that supports youth in your town or city, you can nominate an organization to be the recipient of the Champions for Kids SIMPLE giving campaigns. They typically offer 3-5 campaigns a year where all of the donations that come in to that store will be donated to that organization. Plus, they often will have more opportunities to qualify for donations & support from the Champions for Kids brand partners. They will need to designate a Community Champion – this is someone who is the contact person with Champions for Kids as well as the local Walmart store & can arrange to go pick up donations as needed. If chosen, they will be contacted by Champions for Kids with details on how to get started. 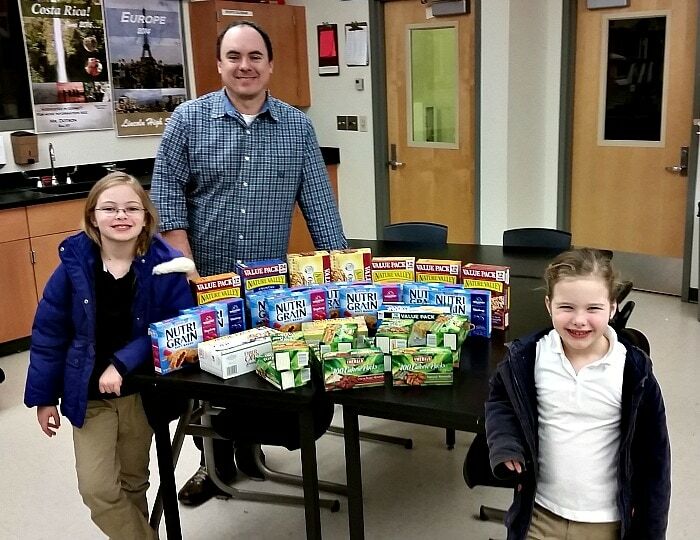 Champions for Kids teamed up with General Mills, Kellogg’s, Emerald Nuts & Kettle Chips to make it simple for communities to provide basic resources for students such as snacks through in-store donations as part of a campaign called Snacks for Students. Through March 4th, customers could purchase snacks & breakfast items for kids and then place them in the Champions for Kids donation bins. All of the donations made in-store stay in the local community & they will be distributed to local schools or youth-based organizations. Today was the last day of the program, but I wanted to share about it as there will be more similar types of programs through Champions for Kids coming up this year, so make sure to watch for it in your local Walmart! As I’ve shared in the past, my husband is a teacher in a local high school in Tacoma, Lincoln High School, which is in a high need area & many families that are a part of the school community are struggling financially. Champions for Kids contacted us to let us know about the campaign & I saw that the newer Tacoma Walmart store was not yet a participating store for Champions for Kids. So it was very simple as I just followed the steps I shared above on nominating a local youth organization or school & we got Lincoln High School all signed up to be the recipient of any Champions for Kids SIMPLE giving drives in the future. To kick off their participation in the Champions for Kids program, I was sent a gift card to go buy non-perishable snacks & breakfast items for the high school students at Lincoln as part of the Snacks for Students program. 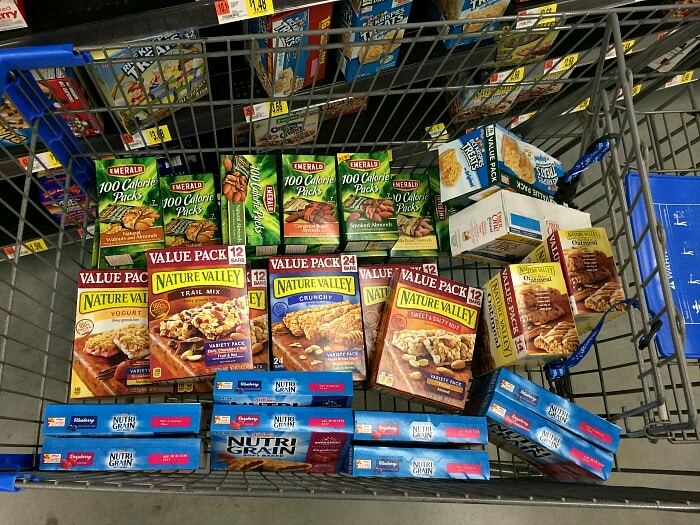 We had fun picking out a variety of healthy snacks – whole grain granola bars, breakfast bars, nut packs & a few treats too like Rice Krispie treats. But even better, find out what organization your Walmart store supports through Champions for Kids – just call up your local store & ask them for that information. Then you can donate in the future knowing that your donations will be helping kids right in your own community through some great youth organizations and schools! Disclosure: This post was sponsored by Champions for Kids & The Motherhood. However, all ideas & opinions our ours. See our disclosure policy for more details.